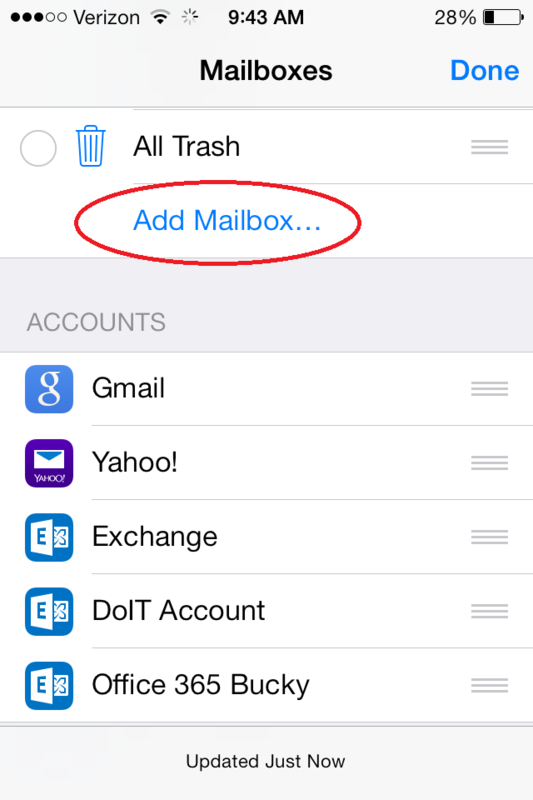 This document explains how to work with folders (create/move/delete) using the iOS Mail application. 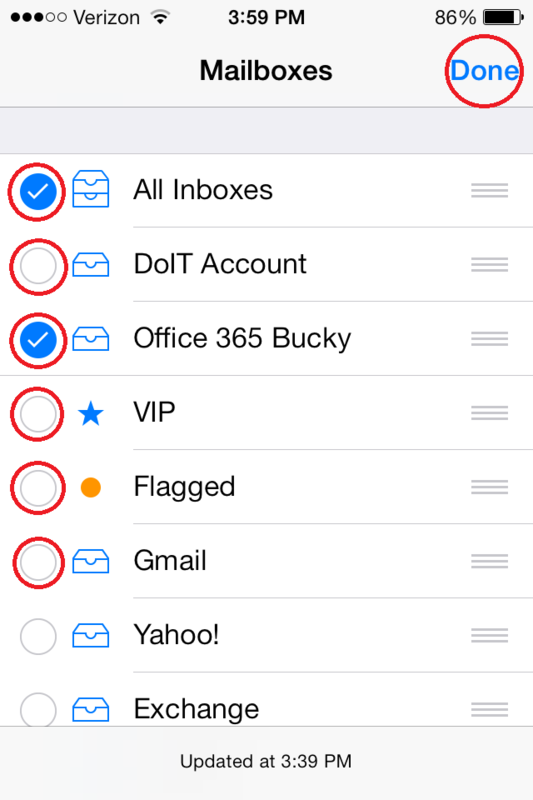 You have the ability to customize the mailboxes of your iOS 7/8 Mail app. You can use this to help organize your mailboxes, and can add new mailboxes, such as unread messages, messages with attachments, flagged emails, and more. 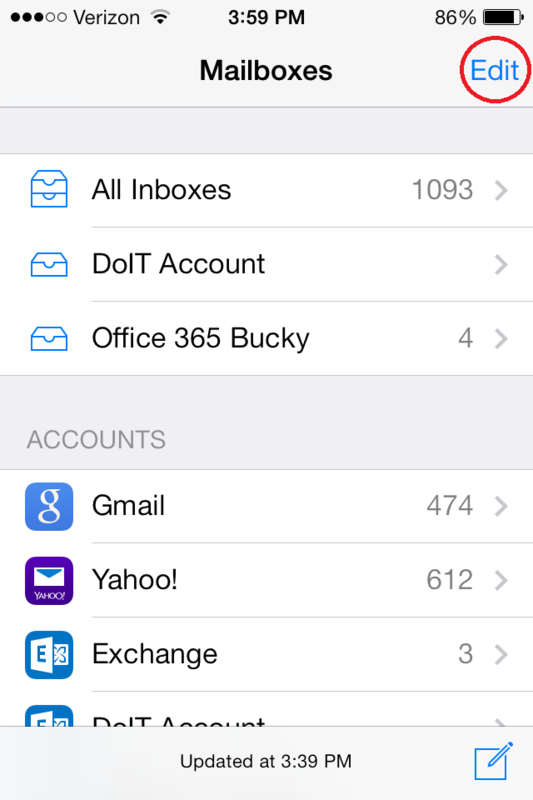 Open the Mail app and go to main "Mailboxes" screen. Note: Not all mailboxes can be edited. 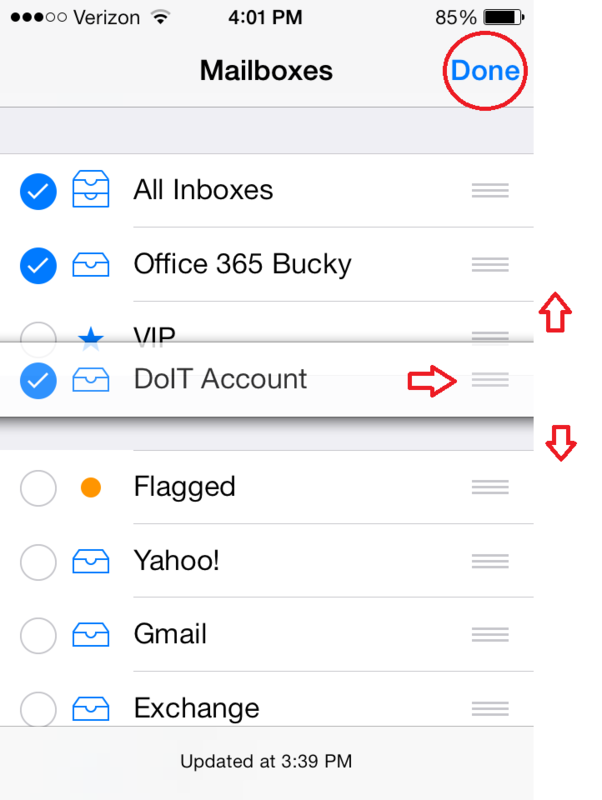 The default mailboxes that appear on each account will be greyed-out and are non-editable. These are the standard mailboxes that the email account requires. 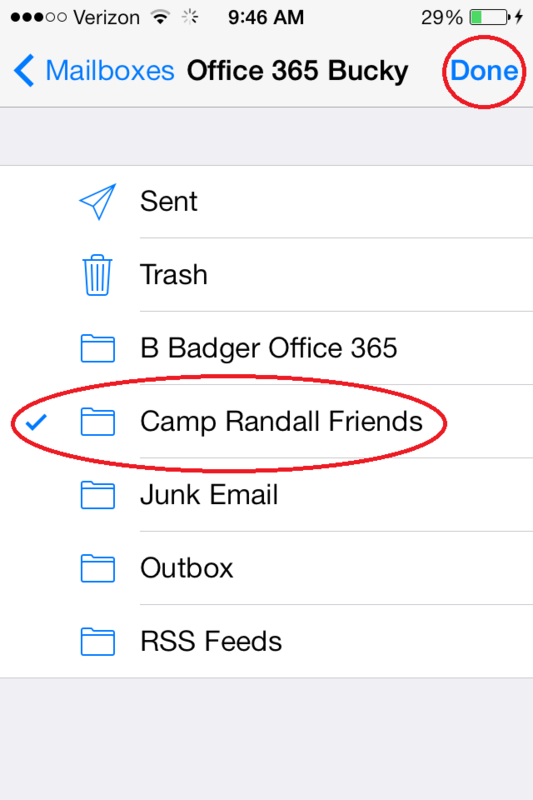 You can also create new mailboxes from folders in your email account. 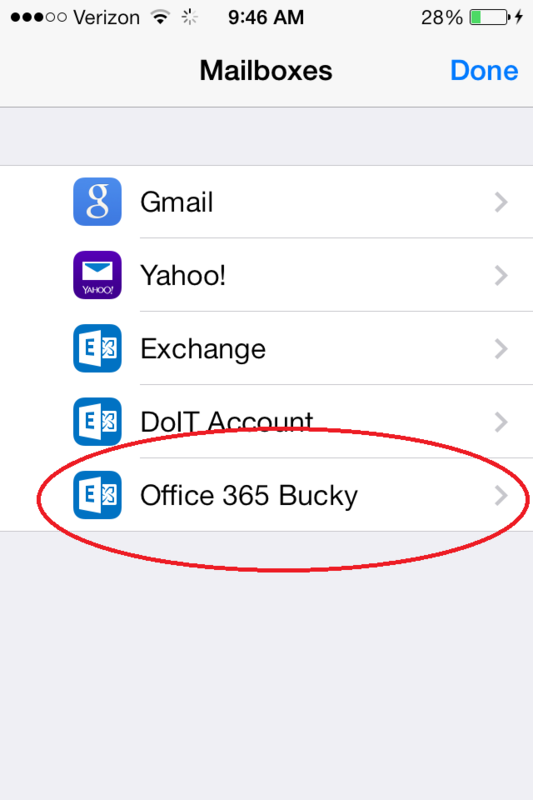 If there is a folder in your account that you access regularly, this feature makes it possible for you to get to it easily from your Mailboxes section. Scroll down to "Add Mailbox..." and tap the selection. 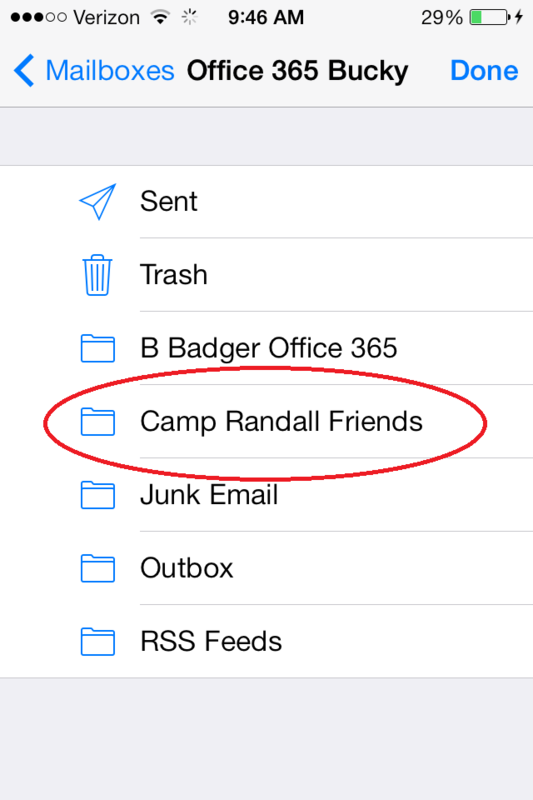 Choose an email account from which to add the folder. Tap "Done" in the upper right corner. Tap "Done" again in the upper right corner of the next screen that appears. If you like having a certain email account at the top of your mail list, and less important accounts listed down below, you can change that by customizing the order they are listed in your Mail app. Open the Mail app and go to Mailboxes. Tap "Edit" in the upper right corner. Touch and hold your finger on the three lines on the right side of the mailbox you want to move up or down. Dragging the mailbox up or down, move it to your desired location. Release your finger to place it there.